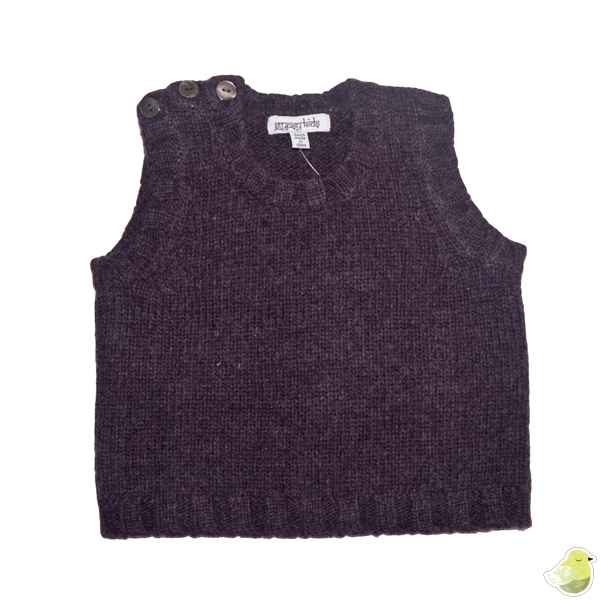 Hand-knitted using pure new Australian lambswool, this smart-looking Vest looks great on both little boys and little girls. The classic stitch technique ensures the garment will maintain its shape and firm fit, whilst still looking hand-crafted and utterly charming. 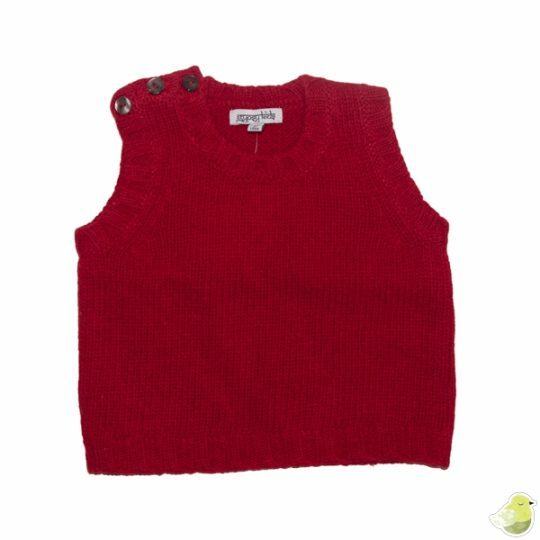 The vest features 3 matching buttons on the shoulders ensuring the vest is ever-so-easy to put on, even as your little one grows. A vest is ideal for additional warmth on those cold and wintry days or perfect for wearing over a shirt or top when there is just a chill in the air. 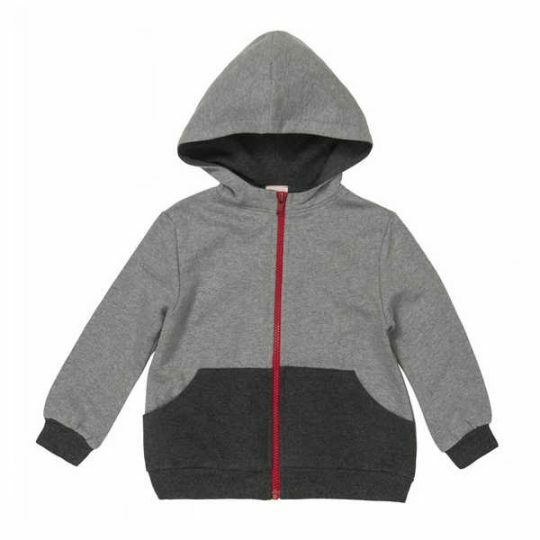 The smooth texture of the wool means the vest is not too chunky to wear underneath a jacket or cardigan, and allows freedom for play! 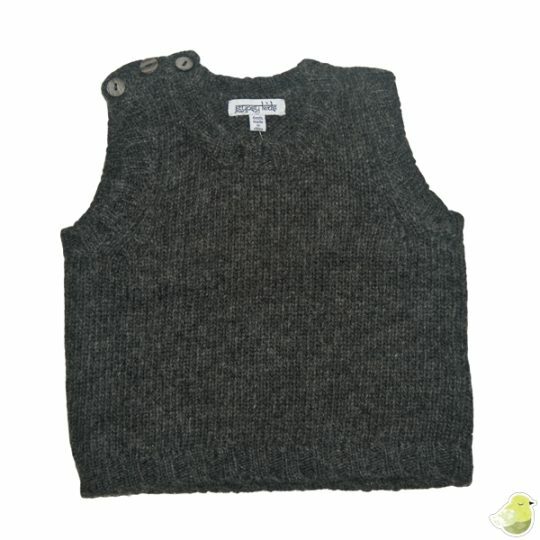 The sizing ensures the vest can be easily be worn over a long-sleeved top adding extra warmth and comfort. Made from pure new lambswool, this stylish Vest will never go out of style. It washes beautifully, feels soft and comfortable and maintains its colour and shape. Designed in Australia for ease-of-use, easy-care and easy-wear.